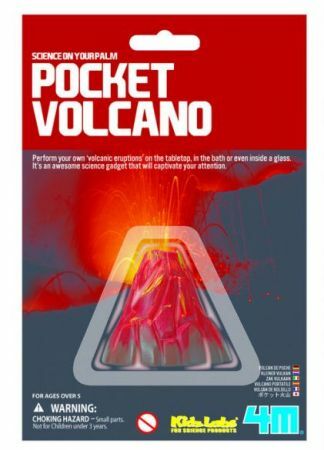 Perform your own 'volcanic eruptions' on the tabletop, in the bath or even inside a glass. It's an awesome science gadget that will captivate your attention. For unlimited eruption fun, ask an adult to get baking sode, vinegar or bath fizzer from home. It could be performed again and again. Contents: 1 volcano (4.5cm tall), 1 bag of baking soda and detailed instructions. For Ages 5+ and adult guidance recommended.